Yet another coupe, or Gran Coupe to be more specific, is on its way out. The current BMW 4 Series Gran Coupe will be the last, as the next-generation 4 Series will come in Coupe and GT flavors, much like the next-gen 6 Series. But that isn’t the big news about the next-gen 4 Series GT, the big news is that it will gain a fully electric variant to help BMW contend with the upcoming Tesla Model 3. According to a report from Autocar, BMW is currently in the works on a 4 Series GT Electric that will make its debut in 2020 and directly compete with the Model 3. In the report, the 4 Series GT Electric will be one of three different powertrain setups in the upcoming 4 Series GT model line. There will be a traditional petrol engine, a plug-in hybrid powertrain and a fully electric model. What’s interesting is just how BMW proposes creating the electric powertrain. Apparently, BMW is looking into two different powertrain setups. One of which will be an all-wheel drive setup that’s similar to what we’ve already seen from BMW, Tesla and others. It would incorporate an electric motor at the front axle to drive the front wheels and an electric motor at the rear axle to drive the rear wheels in true torque-vectoring fashion. However, the other idea is to almost mimic a traditional BMW powertrain setup by putting the electric motor up front but sending the power through a fixed-ratio gearbox and an electric propeller shaft (basically a driveshaft) to send power to the rear wheels. This would allow the car to have a similar weight balance to traditional BMWs and make it feel every bit as sporty as the standard 3/4 Series. Though, adding a driveshaft to the mix would decrease efficiency. BMW is also targeting around a 311 mile range for the 4 Series GT Electric, something that can be done right now with about a 90 kWh battery but could apparently drop down to around 70 kWh with newer high-density batteries and better cooling. Either way, it’s completely realistic for that range number to be met by 2020, as Tesla is targeting it now for the Model 3. Based on the upcoming G20 BMW 3 Series, the 4 Series GT Electric will be a sort of coupe-like Gran Turismo variant, similar to what BMW is planning for the 6 Series. So it will have a hatchback body style but be sportier and more attractive looking than the ungainly styles of the 3 Series and 5 Series GTs. This will allow BMW to market it more as an everyday family sports car and further utilize the added practicality of an electric drivetrain’s lack of mechanical gubbins. According to the Autocar report, BMW CEO Harald Kruger sees this car as key to the future success of BMW in the electric world. 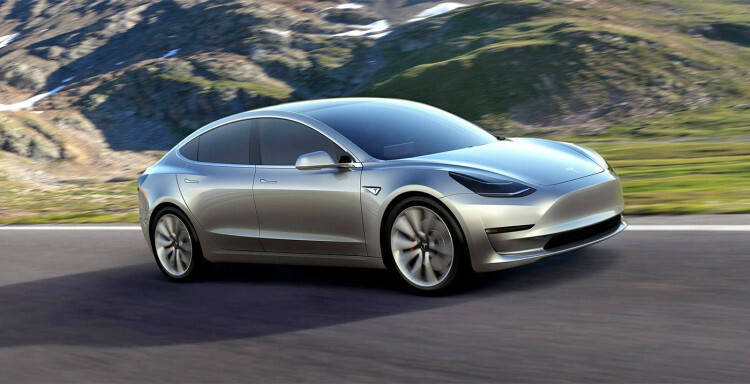 Not only will it help round out the brand’s EV profile by giving it something more attractive than the typical suite of electric hatchbacks and SUVs, but it will directly compete with its most dangerous competitor — the Tesla Model 3. BMW’s target goal of 2020 seems a bit far off but Tesla doesn’t necessarily seem ready to launch the Model 3 in 2018 like originally anticipated. So it’s possible BMW could launch this at the same time as the Model 3 and really make things interesting.